On the heels of his bestselling and award-winning novel Brooklyn, Colm Tóibín returns with a stunning collection of stories—now available in paperback—“a book that’s both a perfect introduction to Tóibín and, for longtime fans, a bracing pleasure” ( The Seattle Times ). 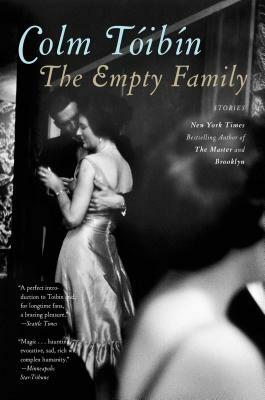 Critics praised Brooklyn as a “beautifully rendered portrait of Brooklyn and provincial Ireland in the 1950s.” In The Empty Family, Tóibín has extended his imagination further, offering an incredible range of periods and characters—people linked by love, loneliness, desire—“the unvarying dilemmas of the human heart” ( The Observer, UK). In the breathtaking long story “The Street,” Tóibín imagines a relationship between Pakistani workers in Barcelona—a taboo affair in a community ruled by obedience and silence. In “Two Women,” an eminent and taciturn Irish set designer takes a job in her homeland and must confront emotions she has long repressed. “Silence” is a brilliant historical set piece about Lady Gregory, who tells the writer Henry James a confessional story at a dinner party. Reviewed on the front page of The New York Times Book Review, The Empty Family will further cement Tóibín’s status as “his generation’s most gifted writer of love’s complicated, contradictory power” ( Los Angeles Times ).